Star Wars: The Old Republic, which is criminally non-canon, will see a new expansion this coming December called Knights of the Eternal Throne. 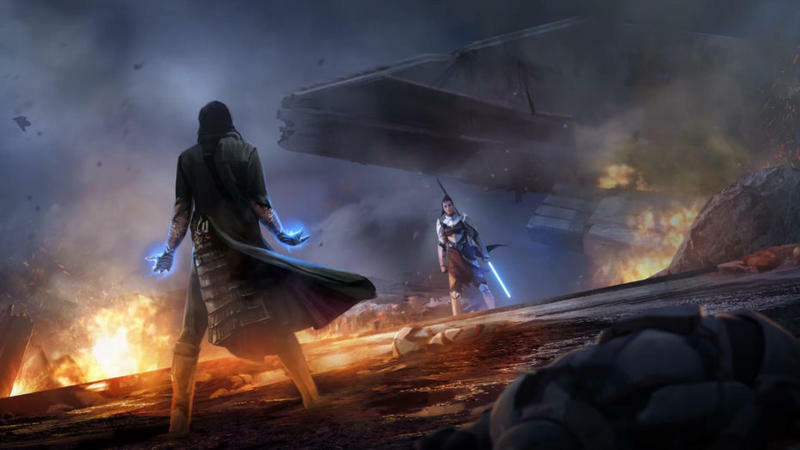 It tells a new story in BioWare’s personal Star Wars universe, one occurring during a brutal galactic civil war against two Sith oppressors, Emperor Valkorion and Empress Vaylin. The trailer is far more personal, though, showing how the civil wars threaten to rip families apart and draw children away from their parents using the lure of the dark side. BioWare has often been praised for “getting” Star Wars far more so than whichever company currently controls its film production rights. Back when we were suffering through the prequel trilogy, it was BioWare that came along and delivered Knights of the Old Republic, a true entry in Star Wars lore that walked circles around midi-chlorians, prophecies, and space politics. And then Disney came around and started making The Force Awakens and Rogue One trailers, upping the ante for BioWare to put its best foot forward. Consider this new trailer a raise. Chilling stuff. BioWare should clearly be on Disney’s radar at this point, and I know I’m not the first to suggest that its writers should be handed Star Wars screenwriting jobs on golden platters.